Tech guru Vinod Khosla and three other men of Indian origin are on the 2008 list of the 400 richest Americans prepared by Forbes magazine. The list, released on Wednesday. 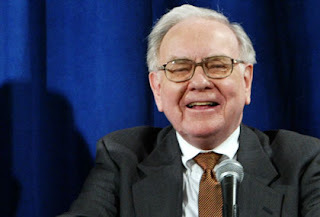 TOP 2: Legendary investor William Buffet with fortunes of about $50 billion. TOP 3: Oracle Corp founder Lawrence Ellison, worth $27 billion, is in the third position. 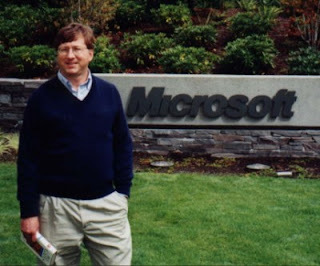 An early investor and a board member of Google, he still owns 1.3 million shares worth $600 million. Today, the Californian backs some Indian and US startups and sits on the board of Indian job site Naukri.com. Khosla, 52, also based in California, is an Indian Institute of Technology (IIT) product from India with an MBA from Stanford. He co-founded electric design automation company Daisy Systems in 1980. Bose, now 78, started repairing radios in high school. He earned a Ph.D. in electrical engineering from the Massachusetts Institute of Techonology (MIT) and started research on hi-fi sound before starting Bose Corp in 1964. He built his brand on groundbreaking loudspeaker design. Today, Bose iPod docks, surround-sound home entertainment speaker systems and noise-cancelling headphones dominate the market. Based in Massachusetts, he was inducted into the National Inventors Hall of Fame last year. Are you ready for these Bollywood Blockbusters? A man of Sri Lankan origin is also on the Forbes list. Raj Rajaratnam (rank 262), with a wealth of $1.8 billion, founded hedge fund Galleon Group in 1997, making big bets on health care and technology companies. Today the firm manages $7.5 billion across six funds. 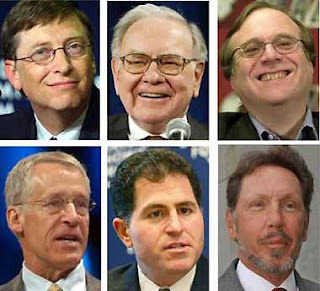 Economic woes have claimed some members of Forbes' ranking of the 400 wealthiest Americans. Dropouts this year include former American International Group (AIG) chief executive Maurice Greenberg and former eBay chief Meg Whitman. With an average net worth of $3.9 billion, the 400 richest Americans collectively have a net worth of $1.57 trillion, exceeding Canada's gross domestic product.